There has never been a better time to invest in the emerging energy ecosystem in the United Kingdom. Over the past several decades the UK has made tremendous progress in decoupling greenhouse gas emissions from economic growth: since 1990, the UK has cut emissions by 40% (faster than any other G7 nation) while growing its economy by two-thirds. And with a commitment to reduce greenhouse gas emissions by at least 80% by 2050, there are still many investment opportunities for U.S. companies in the emerging clean energy ecosystem. The strength of British universities, accelerators and catapults, backed by government support, clear incentives and world-renowned professional and business services, perfectly positions the UK to support U.S. companies looking to grow globally. If you have clean energy technology, you should be thinking about the UK market. 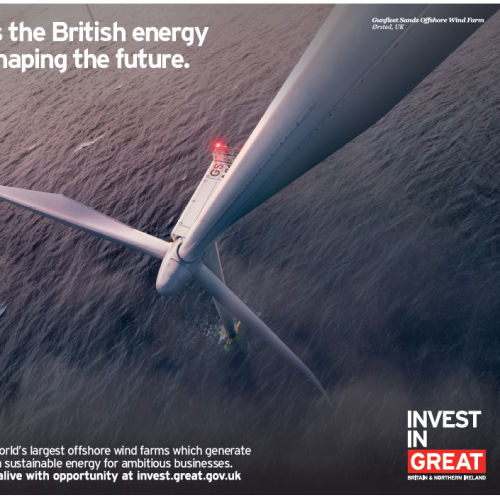 To learn more about UK clean energy opportunities, contact the UK’s Department for International Trade (DIT). Cristina.Pirela@mobile.trade.gov.uk. You can follow UK activity on their social media platforms: @tradegovuktx, @tradegovukusa, @UKinTX.